Snack on and be happy. Just one delicious Shaklee 180 Snack Bar will go a long way in curbing hunger and keeping the munchies at bay. A good source of protein and fiber, to keep you feeling fuller longer. Available in four flavors and an Assorted pack. Snack on and be happy. Loaded with protein and fiber, just one delicious Shaklee 180 Snack Bar will go a long way in curbing hunger and keeping the munchies at bay. 130 – 140 calories. Shaklee 180 Snack Bar provides a healthy, natural energy boost with minimal calories. For weight loss that lasts, it isn't just about food and exercise alone—you need the right nutrition and the right support tools.  Powered by Leucine®, our clinically tested Shaklee 180 products help you keep muscle you have, burn fat you don't need and lose inches you don't want.† Leucine is an essential amino acid for preserving muscle mass. Life Shake™, the foundation of the Shaklee 180 Program, and Shaklee 180 Meal-in-a-Bars and Snack Bars are all Powered by Leucine®. Supports lean muscle. Leucine is the most effective branched chain amino acid for preserving muscle mass. It's real science, with real results. †As part of the Shaklee 180 Program. Clinical study participants replaced two meals with Shaklee Life Shakes daily and followed a 40-minute exercise program twice weekly. 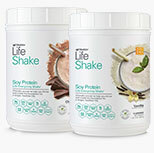 See full details of Life Shake clinical studies at healthresource.shaklee.com. Enjoy daily as a snack. LOSE THE WEIGHT. KEEP IT OFF. RETAIN LEAN MUSCLE. You hit the gym and eat healthy regularly, yet the scale is barely moving! What's the deal?! Don't fret too much. Real changes happen over weeks and months (not hours and days), so let your favorite pair of jeans be your guide to gauging real progress. The best kind of weight loss is when you're losing fat and keeping muscle—you're getting leaner and losing inches, which means your clothing size may shrink at a greater rate than your weight—which is what you really want! Keeping muscle also keeps your metabolism strong—which means you're less likely to gain the weight back. Begin your journey to a leaner, healthier you! Your customizable two-meals-a-day kit contains everything you need for 4 weeks, with your choice of flavors. The program also includes a step-by-step guide to help you get started and online access to support tools, healthy recipes, meal plans, exercise programs and lifestyle information – to help you lose the weight and learn how to keep it off. A complete meal in your pocket. The most delicious, clinically proven shake. Available in plant or soy protein, and several delicious flavors. ≠Based on cumulative sales of Shaklee 180 shakes and the expected average weight loss. §Results and experiences from the Shaklee 180 Program are unique for each person. So results may vary. 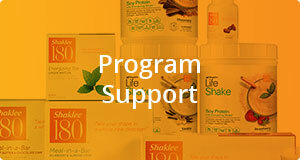 People following the weight-loss portion of the Shaklee 180 Program can expect to lose 1-2 pounds a week.